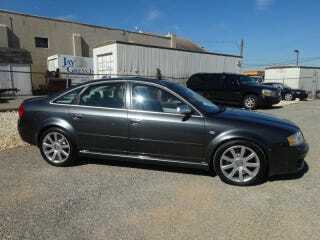 So yesterday news broke of an RS6 Avant for sale owned by Paul Walker. With bids starting at over 57k and a reserve not yet being met, the uber-wagon is out of reach for most of us. GREAT NEWS!....if you can forgo the long-roof you can have this RS6 sedan with what I imagine to be 121k "trouble free" miles for only 15k. The maintenance history looks quite good, so if you are willing to roll the dice I can think of worse ways to lose 15k.